Disclosure: The sunglasses from Hobie Personalized mentioned below were provided for me in order to facilitate my review. All opinions are my own and honest. I am disclosing this in accordance to FTC Guidelines. Please see “Disclose” tab for more information. With summer here and all the time that I spend out doors, as well as traveling, I definitely needed some great sunglasses. 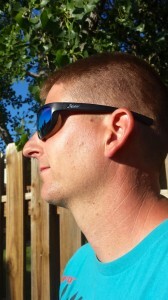 I can guarantee that our new glasses from Hobie Polarized are the best that I have ever warn before. Since 1950, Hobie innovations have been changing the way that we live, play, and compete on the water. For Hobie Alter it all started with a big dream in a small garage. What followed was a new way of life in Southern California, and a new way of looking at our watery world. Hobie Polarized sunglasses have become an integral part of connecting sport enthusiasts to the water by providing a better kind of vision: clearer, sharper, and more precise. Since 1982, Hobie polarized has been the only choice for active water sportsmen. 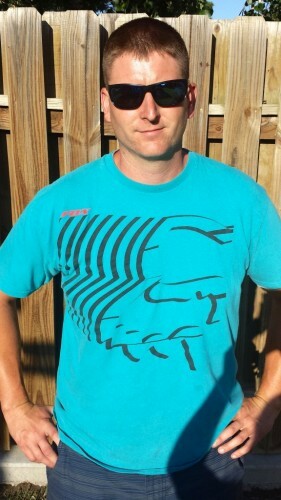 Hobie offers glasses for men and women in a variety of collections. I received the Ava sunglasses (In the top picture) and the Harper sunglasses (pictured below) for me to try out. 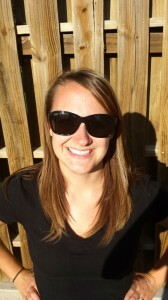 Ava Sunglasses:This is a great design with a ton of UV protecting attitude. These glasses are perfect for anyone that is in the sun a great deal. Harper Sunglasses:Harper is completely dedicated to fashion, designed as much for the catwalk as well as the boardwalk. My husband received the Cruz sunglasses. Cruz Sunglasses: Cruz is the seamless combination of sport and style, this frame is up for anything from a post-surf beer run to taking into a 10 knot wind. They feature their signature Megol rubber anti-fog gasket for maximum comfort and function fused with a custom fit frame. Grey Lens: The grey polarized lenses use a high performing blend of grey and smoke to create a versatile tint that works across any outdoor activity. The Hobie Grey lenses provide natural color perception for a soothing visual experience. Cobalt Blue Mirror: The Cobalt Blue Mirror polarized lenses offer even more protection against scratches and smudges. The extra coating is added to the lightweight, thin, and durable Hobie Grey lenses, allowing them to outperform through varying light conditions and extreme outdoor activities. Copper Lens: The copper polarized lenses enhance color contrast to provide sharper vision and extremely high resolution. Recommended for everyday use in normal to bright conditions, Hobie Copper allows for heightened perception to colors, creating the perfect sunglass for activities like freshwater fishing, sailing, and driving. We were fortunate to try out each of these lenses and can vouch that all this information is true and each of the lenses are wonderful. I have been completely satisfied with the wonderful glasses that I received. I am outside a lot helping my husband work, playing with the girls, as well as driving to and from each activity. I must say that both pairs of glasses that I received have worked out great for me. No matter what activity I might be participating in I never find myself squinting or having any problems with my glasses. I love that I can do whatever I want no matter how bright it is and my eyes don’t seem to be bothered. I have used them when I have been out on the boat as well and loved how clearly I could see. My husband works outside all the time for his job. He has been completely impressed with his glasses as well. They are comfortable for him to wear and he can easily use them no matter what activity he is doing at work. Having great sunglasses in extremely important if you have to be out in the sun. I can guarantee that the lenses on the Hobie glasses are great no matter what you are doing. You will not be disappointed in the least. If you are interested in purchasing a pair of Hobie Polarized Sunglasses, head on over to their website and find the pair that is right for you. I like the WOODY HERITAGE GLASS. Thanks for the giveaway! I am excited. I hope I win the prize. Thanks for the giveaway! I am excited. I hope I win the prize! I’d love to win the Bondi in shiny crystal purple tortoise! I would love a pair of Polarized Sunglasses!!! Thanks for the giveaway! I am excited. I hope I win the sunglasses!! Thanks for the giveaway! I am excited. I hope I win the sunglasses!! I like the Cruz glasses. Thanks for this chance to win a giveaway. Hope I win the prize. Women’s JACO in Gunmetal/Grey are super adorable and I would love to rock them! I’ve had the same pair of sunglasses for over 5 years now, I got them from the dollar store! LOL! Definitely would love an upgrade, thank you so much for the chance! I love the DOGPATCH SPECIAL EDITION. Thank you for the wonderful giveaway! Polarized are the only way to go, especially for driving. Would love to win a pair!! Thanks! I would like the Cruz glasses. Thanks for this wonderful chance to win a giveaway. I like their WOODY HERITAGE GLASS. Thanks for the giveaway! I am excited. I hope I win the prize. I’d love the Women’s Harper glasses! 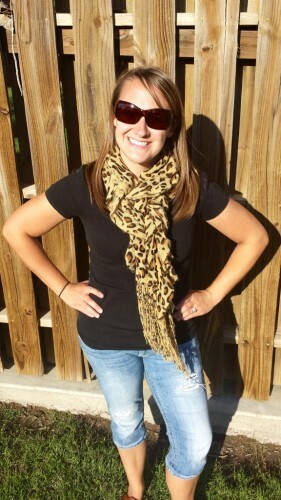 So excited about this giveaway… it’s so hard to find stylish polarized sunglasses. I hope to win! Thanks for sharing this. I love WOODY HERITAGE GLASS. Thanks for the great giveaway!! Thanks for the giveaway! I am excited. I hope I win the prize.” I love the Escondido Reader. I think I would choose the Men’s Rockpile Reader for my Dad. Thanks for the chance. I would love to have the THE WEDGE SEA CRYSTAL SERIES.. They are beautiful sunglasses that I would wear all the time I go out and by the way thanks for the chance to try and win ..
i really like the BONDI SEA CRYSTAL SERIES. I love the color of the lens. Very pretty! I love the ROCKPILE READER -Thanks for the giveaway! I am excited. I hope I win the prize. I could really use the ROCKPILE READER. They are a great price at $99.99 and would protect my eyes this summer. I would love to sport the Cruz sunglasses! I would love to have the SEGUNDO HERITAGE GLASS with copper lenses. I would love to have either the Cabo, Cruz or Rockpile sunglasses. I like sporty glasses. I like the THE WEDGE SEA CRYSTAL SERIES sunglasses. BONDI SEA CRYSTAL SERIES is what I would go for. I would also consider the readers too! Oh my gosh they have READERS!!! I would love to have the ROCKPILE READER sunglasses! That would save me having to switch back and forth!! Thanks for the chance!! I would love the Ava sunglasses.